Are you confused or frustrated by computers, the internet or social media? Do you want to improve your computer technology skills in a relaxed environment? 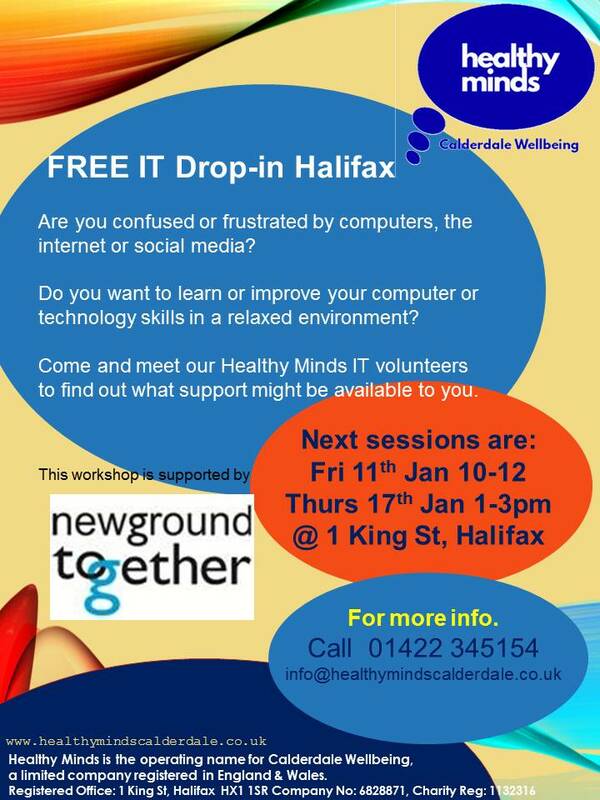 Meet Healthy Minds volunteers on Thursday 17 January, 1:00pm-3:00pm at 1 King Street, Halifax HX1 1SR to find out what support might be available to you. For more information call 01422 345154 or email info@healthymindscalderdale.co.uk. This entry was posted in Get Involved / Have Your Say, Health, Jan and tagged Healthy Minds Calderdale. Local RSPCA Pet Photography Competition Now Open for Entries!